Earn up to 6,832 reward points. Expand the right side of your OmniDesk workstation with this 13-space add-on. 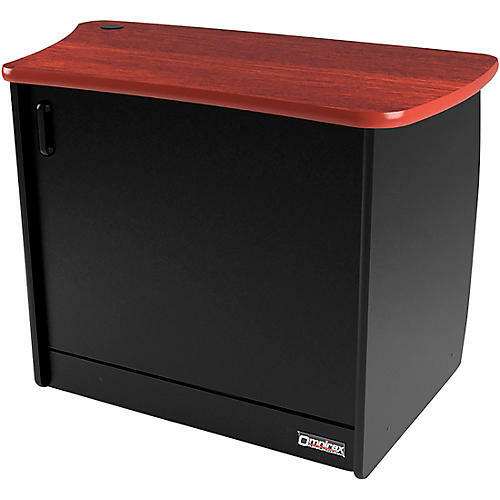 Built specifically for the OmniDesk workstation, the OM13DR is a 13-rackspace cabinet attaches to the right side and gives you not just the 13-rackspaces, but a spacious CPU cubby as well. There is also a door to keep things looking neat and organized when not in use. The OM13DR's mahogany Formica laminate top matches the mahogany version of the OmniDesk. Get more room for more gear with this solid add-on for Omnirax OmniDesk. Order today!